I love all parts of my job, whether I’m presenting, writing, or modelling, and work never feels like work to me because I’m passionate about what I do. Sometimes though, work is extra special and this job was one of those because Now Magazine invited me to do photoshoot at Isle of Wight festival, and I love a good festival! The shoot required very early mornings, very long days, and walking with all our kit through knee-deep mud, but it was amazing and I love the final images. We slept in a big teepee and probably my favourite part of the shoot was the makeup artist doing my makeup artist whilst I slept in my sleeping bag and waking up to a full face of makeup. It made me feel like a Kardashian, plus it takes Beyoncé’s #wokeuplikethis to a new level. 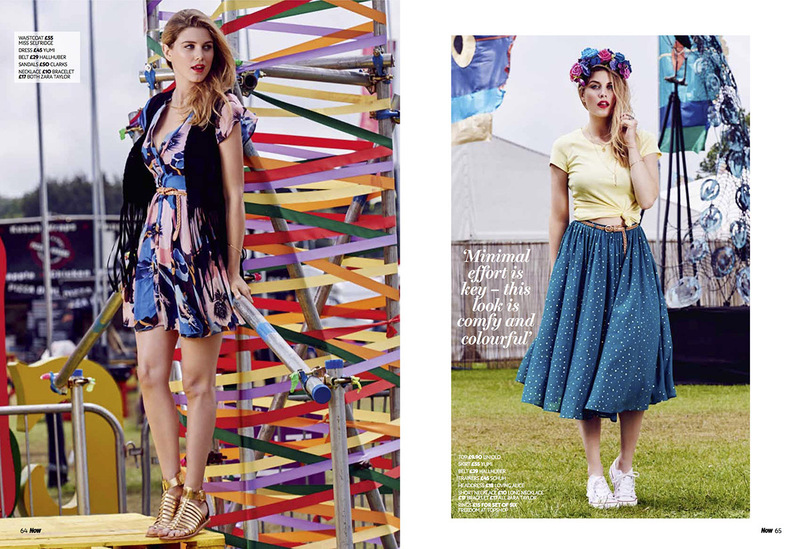 Anyway here are the images, which are out in today’s magazine! Hope you like them!